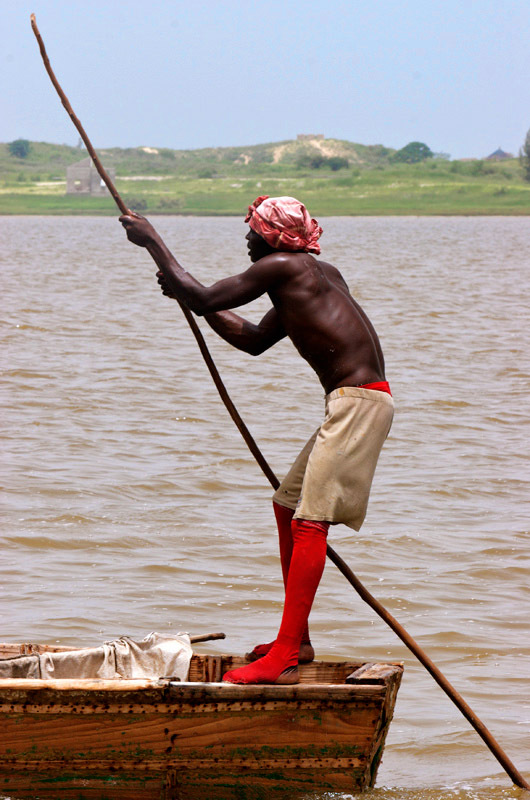 Poling his boat on "Lac Rose" (Pink Lake), this man is part of the small salt-collecting industry located here northeast of Dakar. Salt collectors protect their skin with shea butter and wear stockings. Salt content in the lake is close to 40%.